Quality Assurance Tips for Call Centers - Kathy Sisk Enterprises, Inc.
An excellent quality assurance team on board is the cornerstone of any successful call center company. If you want to improve your customers’ experience, you may start with enhancing your customers’ interactions with your agents. Optimizing the best quality assurance practices may help increase your employees’ efficiency and cut down wasteful spending for your business. If you want to leapfrog your competition, you have to start assessing your team and make sure they are optimizing quality assurance techniques that are suitable to your customers’ demands. The following are helpful tips that will help you do just that. First of all, appoint a reliable quality assurance specialist who can help you design a quality monitoring form and oversee its implementation. 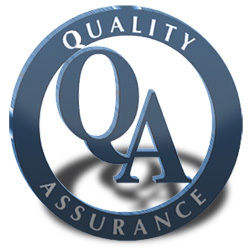 Your QA program must help you keep your existing customers and gain the loyalty of new ones. It’s quite true that keeping an existing customer is easier than attracting a new one; they are also willing to spend more money than new customers. In order to keep good business relationship with your existing customers, you should have a solid QA monitoring form in place. Most businesses, not just call centers, are always in the state of change these days. Although this isn’t entirely a negative thing, if such changes are not properly monitored they can lead to inconsistency of services. It can result to poor customer service; this is not good for your business. It is vital to implement regular coaching for your agents to continue improving the service you provide to your customers. If one-on-one coaching sessions do not fit into the schedule, silent monitoring of live calls is an effective solution to keep your agents’ interactions with customers systematical. Allowing your customers to answer surveys and feedback forms can help you assess your agent’s performance on the phone; hearing what your customers have to say can help you meet their demands effectively. It is quite challenging for a business to fully understand their customers’ needs, but if you don’t meet them your business will suffer. Always keep in mind that customers today are very careful with their purchasing options and they may post about it on social media. Social media is a powerful advertising tool and may set the perception of your target market about your business. Ensure that you take steps to listen to your customers’ voices – what they expect and prefer from your products and services is vital for your success. Evaluating your QA process from an objective point of view allows you to provide unbiased feedback and suggestions for improvement. Cite concrete examples of how you want your agents to approach their conversations with your customers; whenever possible role-play with your agents to help them develop an in-depth understanding of your expectations. Moreover, assign your QA specialist and managers to meet regularly for collaboration.